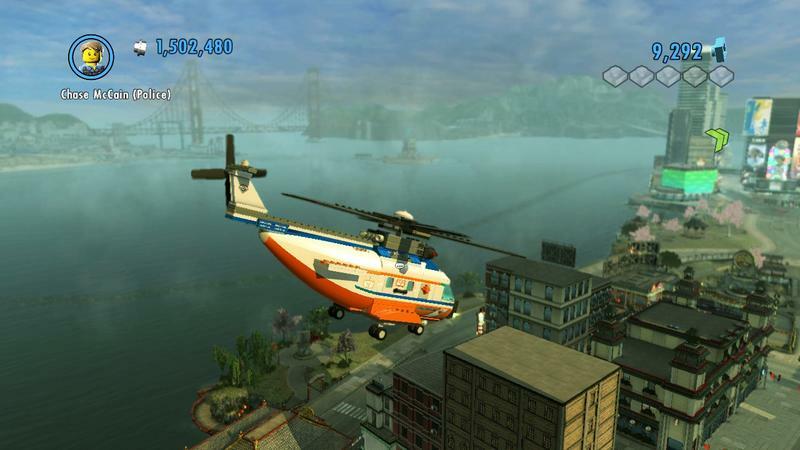 TT Games and Nintendo are set to deliver LEGO City Undercover unto Wii U owners positively starving for new games. This open world romp with a heart of brick features the simple story of a hot shot cop out to catch a ne'er do well who recently escaped from prison. 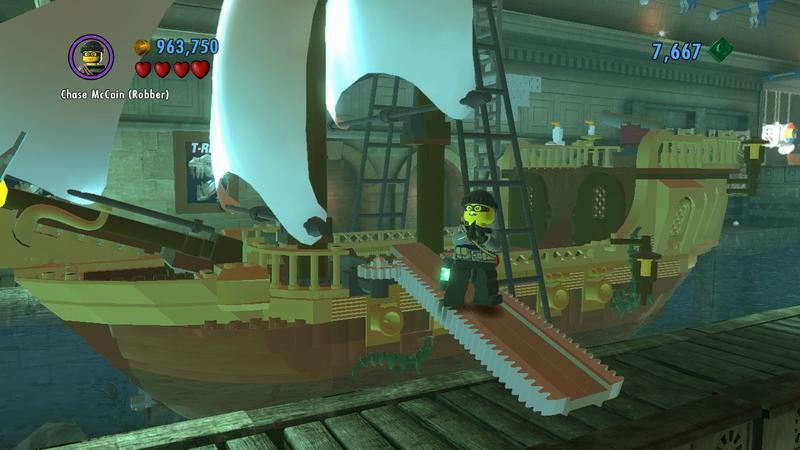 It's also the first LEGO game published by Nintendo, and it's a Wii U exclusive. Is LEGO City Undercover something gamers should rush out and buy? Is it the boost the Wii U so desperately needs? I'll tell you this much: it's definitely fun. 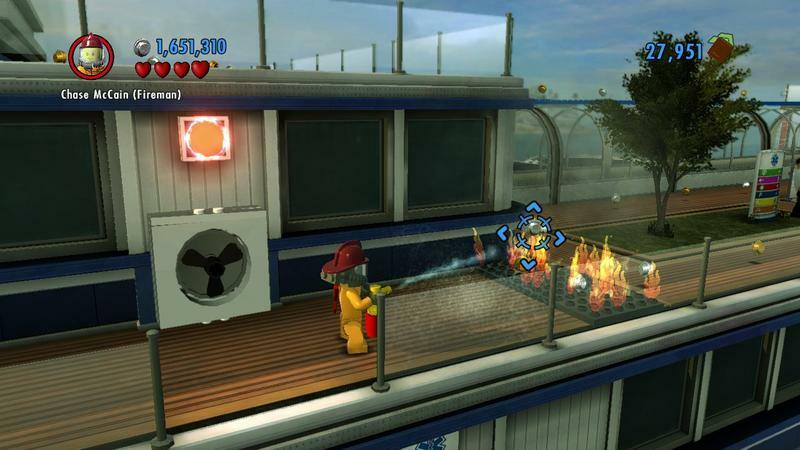 LEGO City Undercover is essentially an explosion of principles and mechanics that work. TT Games took everything they know about making LEGO games and applied that knowledge to a completely open world. The collecting, the building and the smashing are all present and accounted for, and this game will feel immediately familiar to anyone who's ever played a LEGO title before. Of course, the open world and vehicle aspects are brand new. LEGO City Undercover has the presence of other open world games like GTA and Saints Row; but, it comes in a package that's completely friendly to gamers of all ages. 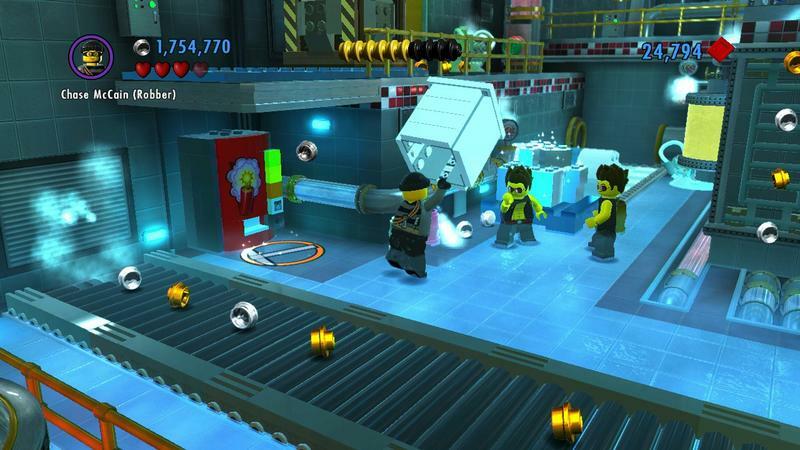 While collecting, punching and smashing are definitely mechanics that belong in LEGO games, they don't necessarily feel welcome at all times here. LEGO City Undercover is big, and constantly smashing everything in sight does get a little boring over time. Just like the smashing, combat in this game is rather simplistic. LEGO City Undercover employs the same timed parry system that one would find in the Batman: Arkham games, but it does so on a much, much easier level. Don't expect to be challenged in combat, it's just sort of there. Also, the driving is not so hot. Forget drifting and handling, each car feels like it was ripped from a LEGO set. There's no real feel to them, other than fast or slow. Perhaps driving was gimped to be friendlier for younger gamers, but folks looking for solid responsiveness in LEGO cars will be disappointed. With some of the older licensed LEGO games (Indiana Jones, Star Wars, Harry Potter, etc. ), characters never say a word. All action is based on things that occur in the universe, so characters mime their way through famous moments in that universe's fiction. The jokes come as exaggerated moments of action, and everything that happens is based on slapstick gags. LEGO City Undercover, however, is just genuinely hilarious. It features voice work for every character in the game; from the main set to the civilians on the streets of the city. It riffs popular movies like Shawshank Redemption, and it does so with a humor that's quite similar to something you'd find in a classic Naked Gun flick. I literally laughed audibly during almost every cutscene in the game, and that's something that no other title has ever done for me before. Kudos to the writers for coming up with something so witty. I'll also say that one character in particular, Frank Honey, is hilarious. Just about everything he says, at any given moment in the game, is solid gold. LEGO City Undercover is a massively big game. Not just in terms of its literal size, but in terms of the stuff players can do in it. Over the course of play, you'll be directed by waypoints to truck along from mission to mission. However, doing only that becomes practically impossible as tons of distractions start shouting at you. You'll notice a winding path off the side of a road in the woods. You'll say, "yeah, I'll check back here real quick." Suddenly, that turns into 30 minutes of exploring and random collection. And that's the part of the LEGO series that LEGO City Undercover services so well. There's so unbelievably much to see and collect that the game feels absolutely gigantic. Saying that this is probably the most value-packed game to release for the Wii U is entirely fair, and gamers looking to get bang for their buck should absolutely look to this entry in the LEGO franchise as exceptionally valuable. There's so unbelievably much to see and collect that the game feels absolutely gigantic. I will ding this LEGO for missing a few absolutely key elements. First of all, it's an entirely single player game with no online mode to speak of. Other LEGO titles are well known as wonderful bastions for classic couch co-op. If you're looking to play this game with your kids, family or a few good friends, cross that item off the list. You'll be going it alone. Furthermore, despite being a Wii U title, LEGO City Undercover does not make use of one of the Wii U's best features. There's no offscreen play; that is, you can't play the game on just the Wii U GamePad. I actually spoke with Loz Doyle, Executive Producer at TT Games, a few weeks back about this game. We talked briefly about whether or not it would feature offscreen play. Doyle told me it wouldn't, but he was quick to explain that the gameplay mechanics in the title made offscreen play impossible. You use the GamePad as a map, a GPS and a scanner (that you'll hold up and aim at your TV) on a regular basis. Based on the way the game was designed, Loyle is right: it doesn't make sense to have GamePad play. However, GamePad play is such a big selling point for the Wii U that news of its absence is disheartening. Perhaps TT Games could have developed specific multiplayer missions for local play. Or, even better, one player could play as Chase with all of the GamePad mechanics while another would play as the aforementioned Frank Honey. Honey could ride shotgun in vehicles and serve as the Robin to Chase's Batman in combat, all the while cracking awesome jokes. Let's not mince words here, Wii U owners don't have much to chose from in the way of games. The launch was bad, and there's been a three month long dry spell since then. With that in mind, LEGO City Undercover is a must-buy for those who want to keep their system in play. The good news? It's a quality game. The load times are terrible, there's no multiplayer and a few aspects haven't aged too well, but the game itself is absolutely charming. It's a LEGO game built on Grand Theft Auto concepts with a sense of humor ripped straight from an old Leslie Nielsen movie… what more could you possibly want? We received a retail copy of LEGO City Undercover from Nintendo. We played the game for roughly 20 hours before starting this review.